Mexican desserts are usually made by the local bakery in the village. The average home in Mexico doesn’t have an oven. Or if it does then it is used a cupboard, not for baking. Desserts are typically baked, so they are purchased at the local pasteleria. Here are some typical desserts that you’ll find in Mexican homes. Mexican desserts are simple like cakes and cookies. You usually won’t find elaborate, many layered cakes and steamed puddings and the like. They are basic and simpler cakes, sweet breads and sugar dusted cookies. Here are a few ideas if you want to try your hand at making some of these delightful sweets. Most everyone’s dream cake: Tres Leches. This is a cake that is made with 3 different types of milk, condensed, evaporated and whole milk then topped with a thick layer of whipping cream. There is no shortage of calories and it is sure to hit every pleasure center of the brain. 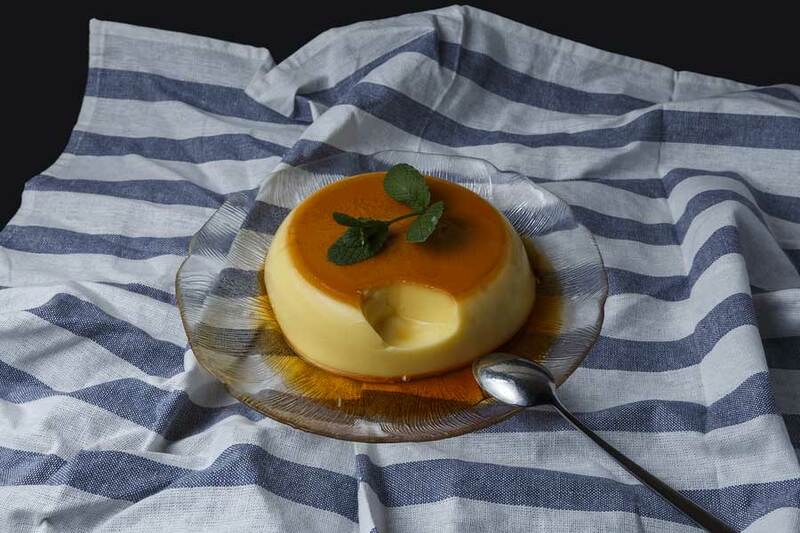 Flan is a standard Mexican dessert. In the US we’d call it custard with a caramel topping. It is lovely light custard and you’ll see it on most Mexican menus. Churros are a donut that is sprinkled with sugar and cinnamon. It is a big favorite of children. You’ll see churros sold on vendor carts at every Mexican outdoor event. Mexican wedding cookies are small, round nut filled pastries. They are the same thing as Russian Tea Cakes. They are made for weddings as they are so pretty, all dusted with a good amount of powdered sugar, but they are wonderful anytime! This is a homemade, thick caramel sauce. Think runny fudge made with goat’s milk. It is used as a sauce on cakes, cookies or just grab a spoon and dig in! We hope you enjoy this list of authentic Mexican desserts. Stop by El Caminito for dinner and see what we have for dessert today.